Teachers and students in the Nordic and Baltic countries more commonly use mathematics textbooks than elsewhere. Thus, studies on textbooks are highly important in order to find ways to improve the quality of mathematics textbooks. 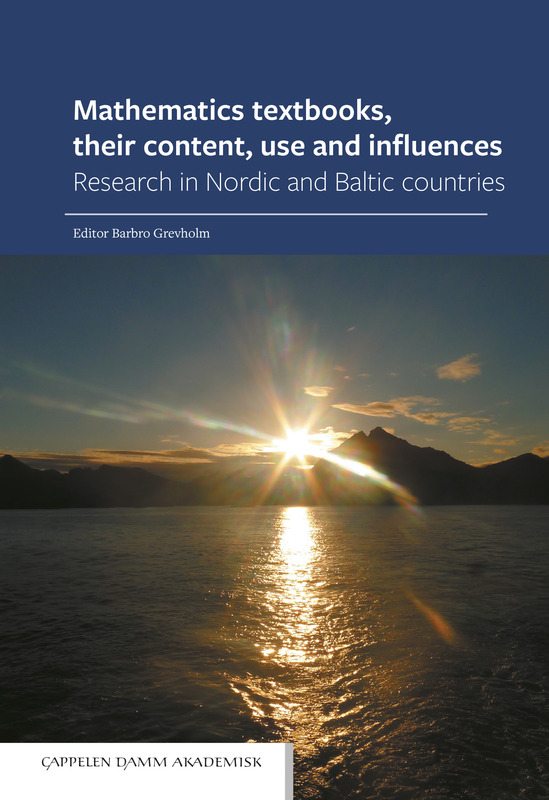 The network for research on mathematics textbooks in the Nordic and Baltic countries has produced a number of such studies and several of them are reported in this book. The conclusions of the studies are of value for teachers, policy makers, curriculum creators, teacher educators, student teachers and for improving of the learning of mathematics at all levels of study. The authors are well-established researchers and academic teachers and well acquainted with mathematics teaching in school. Their work and reports build on both empirical experiences and scientific studies. What they present clearly shows that there is a great potential to improve mathematics textbooks and thus ease the learning of mathematics for pupils. Barbro Grevholm er professor i matematikkdidaktikk. Hun er tilknyttet universitet i Agder og universitetet i Lund. Grevholm har skrevet flere artikler og bøker i matematikk og matematikkdidaktikk.